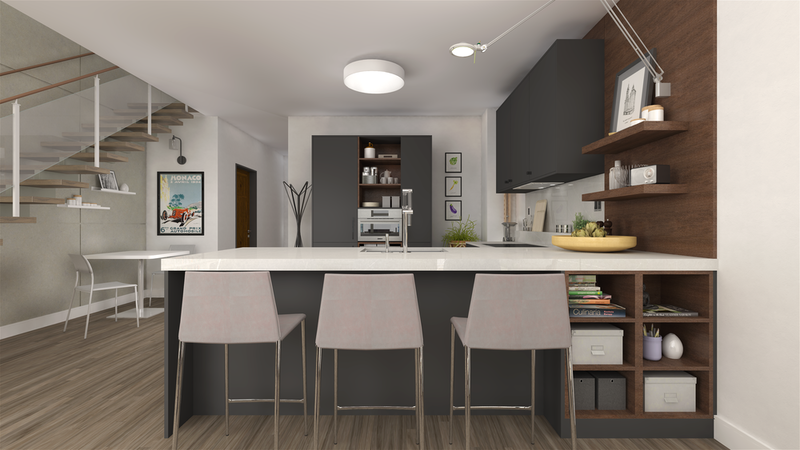 A seductively modern condo kitchen designed for a client with a collective taste for bold and creative style. Using super matte laminate fronts, the velvet grey colour combined with the dark wood laminate provided the right balance of sophistication and urban spirit. This kitchen design was perfect for the open concept condo where the kitchen was an integral part of the overall living space.